With two closed vessels of equal volume that are connected to each other through a narrow tube, the temperature of one of the containers is increased. 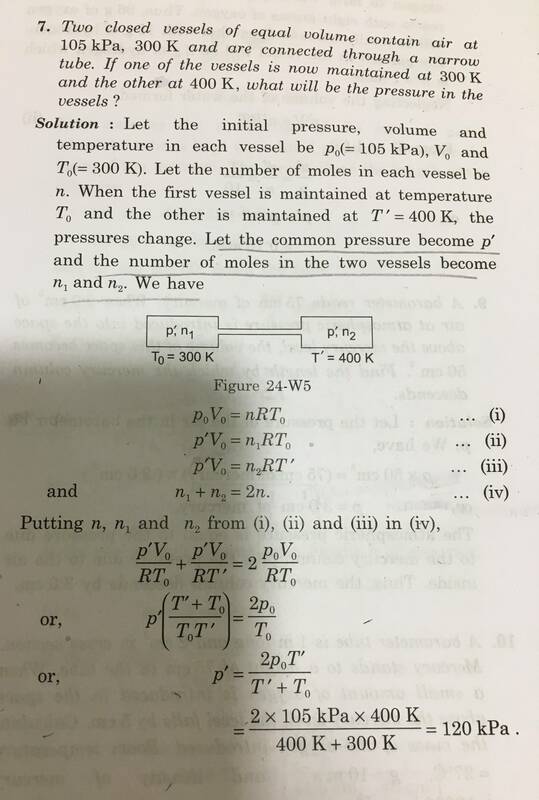 Why does the final volume of gas inside each container remain the same as earlier? The volume stays the same, because the containers stay the same. If the volume of one container would increase, that would mean it would expand. If in a stable container, the gas cannot take more volume. It cannot take less, because a gas always fills the whole container. Temperature can change, pressure can change (for instance by forcing more gas in the container), but volume cannot change (if the container does not change, expand, shrink, explode). Not the answer you're looking for? Browse other questions tagged kinetic-theory-of-gases or ask your own question.